In the Wake of Poseidon and Islands are the latest installments of the King Crimson 40th anniversary reissues. They may not be in the caliber of classics such as In the Court of the Crimson King and Red from that 1969-1974 era–nor were their respective lineups ever popular or durable–but in retrospect, the music still remains adventurous. In The Wake of Poseidon was made at a time when the original KC lineup fractured internally, most notably the departure of instrumentalist Ian McDonald, who was such an integral part of In The Court of the Crimson King. Somehow guitarist and leader Robert Fripp managed to hold it all together by getting back some of the members from the first album (singer Greg Lake and drummer Michael Giles) while recruiting acquaintances to help out on the follow-up. 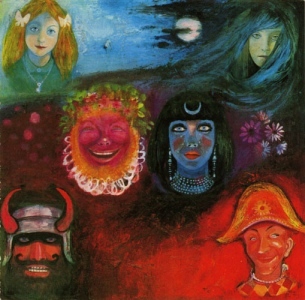 Poseidon sound remarkably similar to Crimson King on various levels: the jazzy rock of “Pictures of a City” harkens “21st Century Schizoid Man”; the lovely ballad “Cadence and Cascade,” sung wonderfully by Gordon Haskell, is reminiscent of “I Talk to the Wind,” the title song possesses the dramatics of “Epitaph”; and “The Devil’s Triangle (Parts1-3)” seems like a fusion of “Moonchild” and “The Court of the Crimson King.” However, Poseidon is bookended by the subdued “Peace,” and in the middle of the record is the whimsical “Cat Food.” Given the shift in personnel, What might have turned out to be a haphazard effort ended up being another fine effort by Fripp and company. Islands, released a year after Poseidon, is the KC studio album that featured the lineup of Fripp, lyricist Peter Sinfield, bassist/singer Boz Burrell, drummer Ian Wallace and saxophonist Mel Collins. While not the formidable lineup compared to the ones before and after, that version of Crimson produced a somewhat underrated—even eloquent at times–work in Islands. 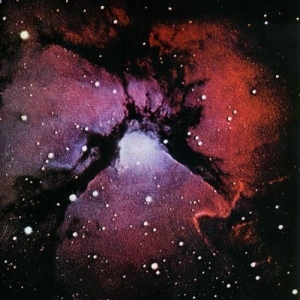 The orchestral arrangements certainly makes themselves known in tracks such as on the Eastern influenced and jazzy “Forementera Lady” and the lovely “Prelude: Songs of the Gulls”; “Sailor’s Tale” features some frenetic and dramatic guitar playing by Fripp; “The Letters” provide a spark of rock bombast after a medieval-sounding beginning; “Ladies of the Road” is a low-down, bluesy funk-like track; and the title cut, with Sinfield’s always-poetic lyrics, is absolutely elegant and lush with some standout playing by cornetist Mark Charig towards the song’s end. Certainly Islands is an under-the-radar Crimson album but certainly not inferior by miles. Both reissues contain alternate and newer mixes of the records on DVD as well as additional tracks and alternate takes some rare and previously unreleased; among them on Poseidon is a version of “Cadence and Cascade” that features a guide vocal by Greg Lake.